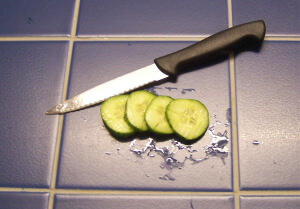 A multistate outbreak of Salmonella Poona linked to “slicer” cucumbers supplied by Andrew and Williamson Fresh Produce has sickened at least 30 Utah residents. This type of cucumber may also be referred to as “American” cucumbers. The FDA, CDC, and state officials are continuing to investigate the ongoing outbreak. People infected with Salmonella develop diarrhea, fever and abdominal cramps. Illness usually lasts 4-7 days, but may last longer and become severe enough to require hospitalization. A Salmonella infection may spread from the intestines to the blood stream. Children, the elderly, and those with weakened immune systems are at a greater risk for severe infections. It is estimated that approximately 400 people die each year in the United States due to acute salmonellosis. As a Utah food poisoning attorney, I have helped many people who have suffered serious Salmonella and other food borne illnesses. I’ve worked with medical experts and attorneys from around the country to get victims the compensation they deserve. Utah victims of these types of illnesses need the assistance of an attorney experienced litigating Salmonella poisoning cases. If you or a loved one have suffered Salmonella poisoning in Utah due to the cucumber outbreak, please contact Attorney Jared Faerber at The Faerber Law Firm, PC to discuss your rights. We will be happy to talk to you for free and with no obligation.